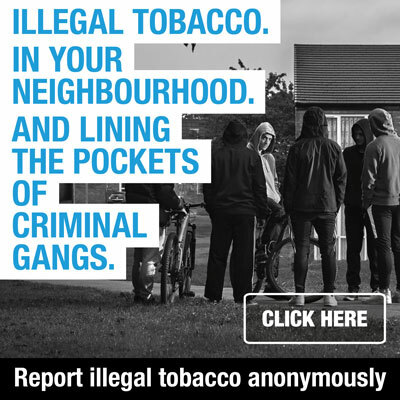 More than 37 kilos of illegal tobacco and almost 23,000 non UK duty paid cigarettes have been seized by HM Revenue & Customs (HMRC) in an operation targeting the trade in illegal tobacco across Lancashire and Manchester. 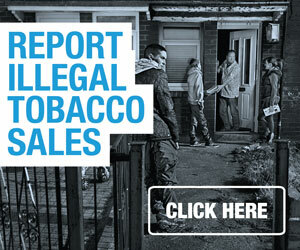 The exercise focused on suppliers of illegal tobacco in and around the Blackburn area and resulted in raids being carried out on business premises in Wigan, Widnes, Glossop and central Manchester, and residential addresses across Blackburn. HMRC officers discovered a significant number of the businesses involved in this criminal activity had attempted to disguise their illicit sales by using stock and fixtures to hide them. In Widnes, boxes of cigarettes were hidden inside packaged duvets and at another business pouches of tobacco were stored behind a shelving unit displaying pet food. It is estimated that in total the seized goods are worth around £13,000 in unpaid excise duty and VAT. The operation was supported by the UK Border Agency and their specialist tobacco detection dogs who helped to uncover cigarettes and tobacco hidden within the business premises.